Thiru.L.Nirmal Raj,I.A.S., District Collector and District Magistrate, Tiruvarur is an IAS Officer belonging to the 2010 batch. He has done B.E (Mechanical), from College of Engineering, Guindy. He has served as District Revenue Officer, Nilgris District during the Period from 14.07.2011 to 22.12.2013. 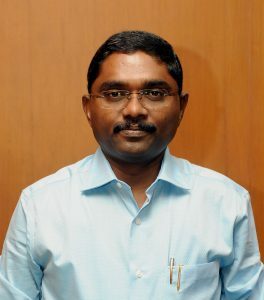 He has undergone Training in Virudhunagar District during 2003 -2004 and has rendered service in the cadre of Revenue Divisional Officer, in Karur and Tiruppur Divisions. He assumed Charge as District Collector, Tiruvarur on 31.07.2016. He has bagged the Best Collection Award for Flag Day Collections from His Excellency the Governor of Tamil Nadu for the year 2015 and 2016. Besides, has won the first position for the excellent work done in removal of silt in water bodies and best Performance in implementing the Prime Minister’s Fasal Bhima Yojana and had received the awards from the Hon’ble Chief Minister of Tamil Nadu during the Collector’s and Police Officer’s Conference held from 5th to 7th March 2018.